One of the most relaxing ways of wandering in a green setting in Lower Manhattan is the High Line, an elevated walkway created from a redundant railway viaduct running the length of the Meatpacking District and almost into Greenwich Village. When the first railways were laid into Manhattan, the built-up area of the street grid extended hardly as far as 23rd Street. The Hudson River Railroad, built 1846-51, brought its tracks across the Harlem River at the Spuyten Dyvel Bridge and all the way down Tenth Avenue at grade level, with obvious dangers and inconveniences to street traffic. In 1871, most passenger services were diverted by the Spuyten Duyvil & Port Morris Railroad, originally built in 1842, along Park Avenue to what became the Grand Central Terminal. Because the Hudson River Railroad west-side line remained useful for bringing freight into lower Manhattan, it was grade-separated between 1929 and 1934 as part of the West Side Improvement Project. 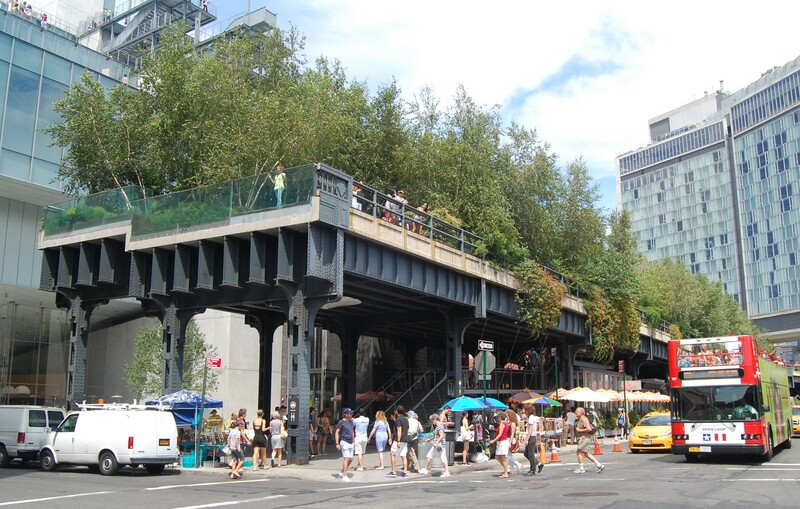 The resulting elevated railway was aligned along the blocks on either side of 10th Avenue, sometimes running through buildings such as the Bell Telephone Laboratories Building at 463 West Street and the Nabisco building between 15th and 16th Streets, now Chelsea Market. The line became redundant from the 1960s, and the last train, apparently delivering a load of frozen turkeys, ran in 1980. The track-bed became derelict and overgrown, though the steelwork remained entirely sound, and in the 1990s local residents began to campaign for its retention as an unlikely amenity: https://www.youtube.com/watch?v=F1tVsezifw4. Supported by such luminaries as the fashion designer Diane von Fürstenberg, and sponsored by a range of high-end companies, the viaduct was reopened as the High Line [http://www.thehighline.org/visit], a greenway modelled on the Parisian Promenade plantée (1993), in phases between 2009 and 2014. 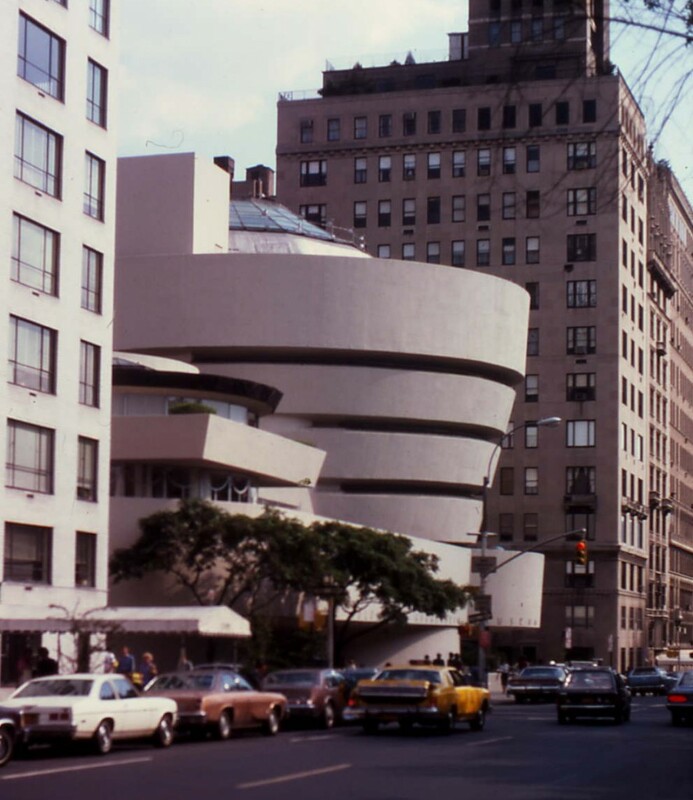 It runs from 34th Street to Gansevoort Street, south of Little West 12th Street and adjacent to the new Whitney Museum of American Art (Renzo Piano 2015), encompassing wild planting, wooded groves and a lawn, with a range of amenities such as seating, artworks and catering facilities. There is level access at 34th Street, and elsewhere there are five wheelchair-accessible entrances with elevators and a further five staircases at intervals. This entry was posted in Exploring New York City, Life-enhancing experiences, Transports of Delight on October 2, 2015 by Mike Higginbottom. 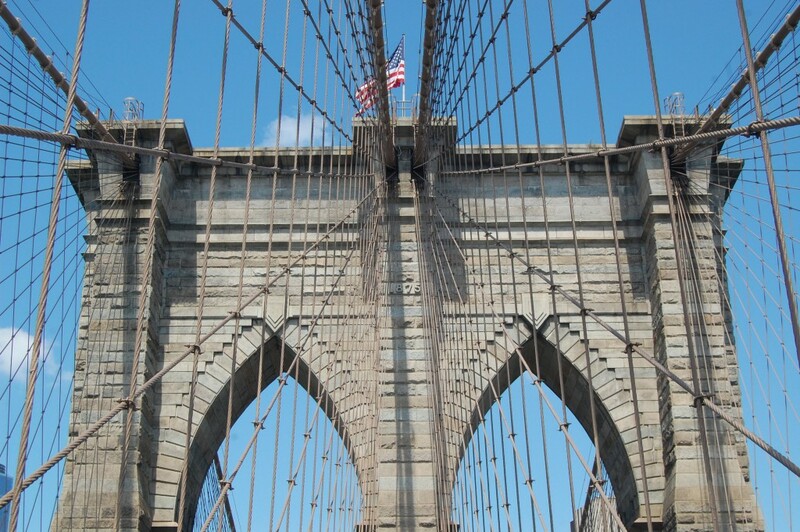 The pedestrian and cycle path across Brooklyn Bridge is one of the great cost-free experiences of New York City. Some people think the Brooklyn Bridge is the most beautiful bridge in the world. It has a unique place in the development of the most elegant of all bridge designs – the suspension bridge. Its stone piers with their Gothic arches, the fanning suspension cables and its unparalleled setting make it unmistakable. The bridge was designed by John Augustus Roebling (1806-1869), whose adoption of 3,000-ton pneumatic caissons to dig through the river silt to the bedrock below made possible the 276-foot Gothic towers that carry the span. Roebling’s expertise, which included building the first suspension bridge across the gorge below Niagara Falls (1855), came from his ownership of a wire-manufacturing company. Surveying began in 1867, but before construction began Roebling was injured in a ferry accident and shortly afterwards died of tetanus. The project passed to his son, Washington Augustus Roebling (1837-1926), who also lost his health to the Brooklyn Bridge. He fell victim to the then unknown condition we now call decompression sickness, and was so debilitated that he had to supervise the project remotely, using his wife Emily Warren Roebling (1843-1903) as his amanuensis and messenger. She became so knowledgeable and capable about bridge engineering that many thought she was the actual designer. Its 1,595-foot central span was at the time the longest in the world, half as long again as the previous record-holder, J A Roebling’s Cincinnati-Covington Bridge (1856-67) [http://www.rootsweb.ancestry.com/~kycampbe/roeblinghistory.htm]. The clearance-height above the river, 135 feet, became the international standard for bridging waterways that carry sea-going vessels. This was the first suspension bridge to use galvanised steel cables, and the first project to use dynamite in bridge construction. Its cost was $15,100,000 – more than twice the initial budget. 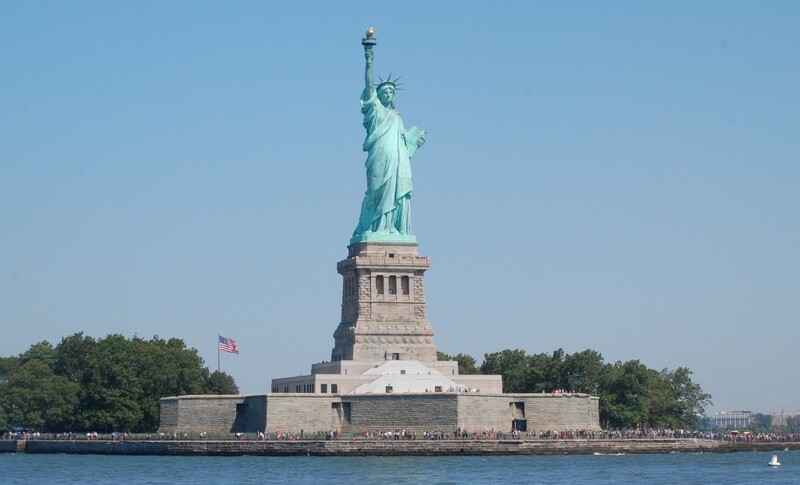 It opened on May 24th 1883 with a procession led by Emily Warren Roebling, accompanied by President Chester Arthur and the Governor of New York State, Grover Cleveland (later 22nd and 24th President) and the Mayors of New York and Brooklyn. Washington Roebling remained at home in Brooklyn Heights where he hosted a celebratory dinner later in the day. The Brooklyn Bridge has hidden depths. At least one of the vaults within the Brooklyn approach, originally planned as a shopping arcade, was leased to a wine-merchant and has been periodically rediscovered: http://www.ediblegeography.com/brooklyn-bridge-champagne. In 2006 a disused nuclear bunker was discovered in the Manhattan foundations, containing “more than 350,000 items, including half-century-old water drums, food canisters, and medical supplies”: http://www.nytimes.com/2006/03/21/nyregion/21capsule.html?_r=0. Footage dating from 1899 shows a cab-ride in an elevated railway train, crossing the Brooklyn Bridge at the time when it was shared between pedestrians, road vehicles, trains and streetcars: https://www.youtube.com/watch?v=yuMRrToOXkE. This entry was posted in Exploring New York City, Life-enhancing experiences, Transports of Delight on September 27, 2015 by Mike Higginbottom. The classic way of seeing New York Harbour as it should be seen, by water, is the Staten Island Ferry, which runs twenty-four hours a day, every day of the year, except overnight on public holidays, and is entirely free of charge: http://www.nyc.gov/html/dot/html/ferrybus/staten-island-ferry.shtml. The first steam-powered ferry service between Manhattan and Staten Island was operated by the Nautilus (1817). The ferry company was purchased in 1838 by future railroad entrepreneur “Commodore” Cornelius Vanderbilt (1794-1877), and at the start of the Civil War it passed to the Commodore’s brother, Jacob H Vanderbilt, a leading figure in the Staten Island Railway company. Later still it was taken over by the Baltimore & Ohio Railroad. Staten Island, as part of the Borough of Richmond, was absorbed into the City of New York in 1898 and the ferry service was taken over by the New York Docks and Ferries Department in 1905. 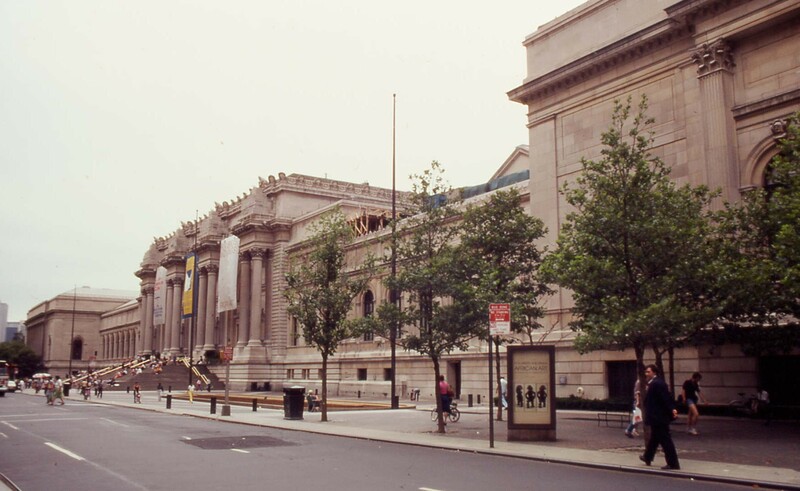 It remains the responsibility of what is now the New York Department of Transportation. 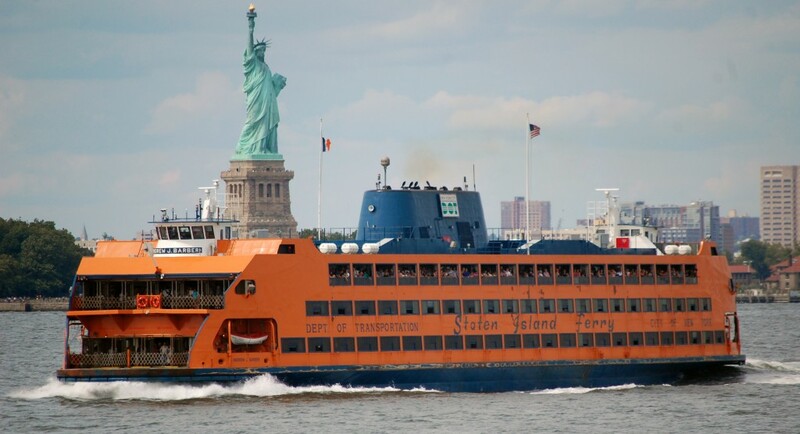 Initially, the municipalised Staten Island Ferry charged the same 5-cent fare as the New York Subway, and for much of the twentieth century the ferry-fare remained the same while subway fares increased. Between 1972 and 1990 the fare increased in stages to 50 cents, still a great bargain. Fare-collection was abolished in 1997, since when the Staten Island Ferry has been one of the best free attractions in New York. Most tourists simply sail out to Staten Island and come straight back, but you have to disembark and re-board, so it’s worth having a drink or a meal with a distant view of Manhattan at the River Dock Café, Staten Island Ferry Terminal: https://www.facebook.com/RiverDockCafe. The beer’s good too – such as Sam Adams Rebel IPA (ABV 6.5%): https://www.samueladams.com/craft-beers/rebel-ipa. This entry was posted in Exploring New York City, Life-enhancing experiences, Transports of Delight on September 22, 2015 by Mike Higginbottom.